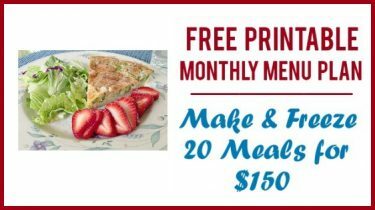 freezer meals Archives | Happy Deal - Happy Day! This information is part of my FREE 20 Day Budget Challenge series. If you’d like all of the information in your inbox – then sign up HERE! Take a look at your basic budget and find the categories for both groceries and gifts. 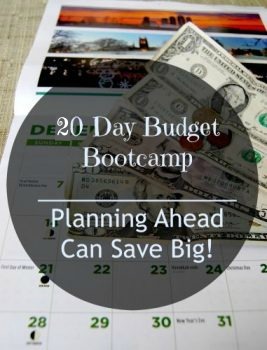 Today I’m going to show you how to save on both by planning ahead! If you want to save money on groceries, then one thing you can try (other than using coupons – which will be discussed later during our bootcamp), is monthly menu planning! Have you tried cooking make ahead freezer meals? If you would like to spend less time in the kitchen or drive-thru, and save a boat load of money (even without using coupons! ), then it’s time to start cooking ahead. Here is one example Make Ahead Freezer Meals for a Month – specifically for Wegmans shoppers. It’s FREE – just click here to download and print. Even if you don’t shop at Wegmans, you can still make ahead these 20 recipes and use the shopping list at your own store. If you aren’t a fan of making ahead and freezing meals, you can still create a month long menu plan and shop just for those items. Check out how MyFreezEasy is the best tool when it comes to creating easy meal plans for ANY diet! 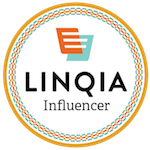 Click NEXT to see how to save on Gifts!